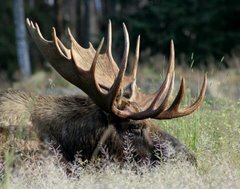 Moose Tracks: No Human ALIVE Has Seen Hotter July! 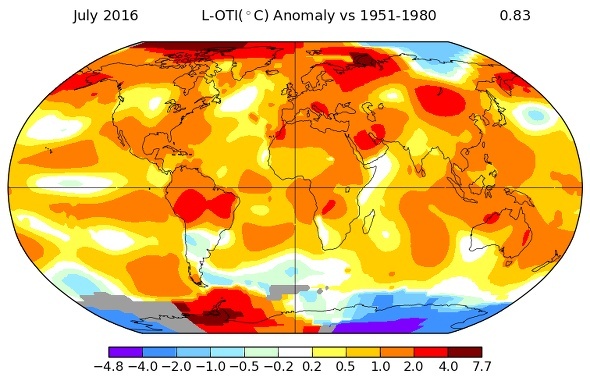 No human ALIVE ... meaning hottest July since, well .... 1890, MAYBE. The chart shows the temperature DEVIATION plotted against the BASELINE, which is the average temperature from 1981-2010 (the 0.0 line). Why is that the average temperature for the whole planet? Well, because the international climate industry has declared it to be so. 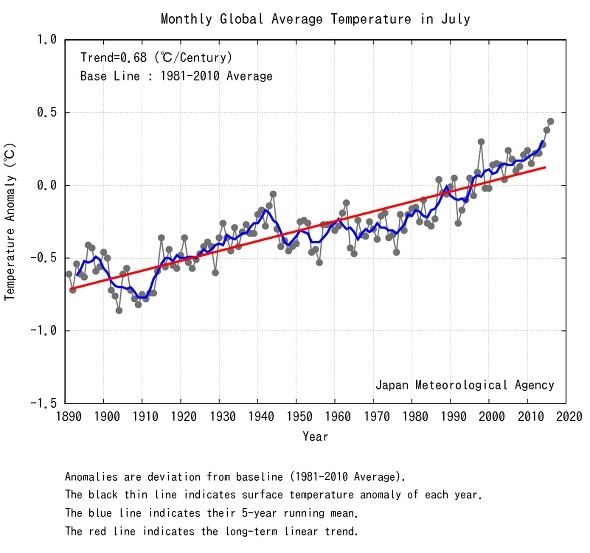 One interpretation of this chart is "hottest ever", another interpretation would be that we have "returned to the mean" ... like .1 above the mean, but MUCH better than .6 BELOW the mean where we were in 1890. 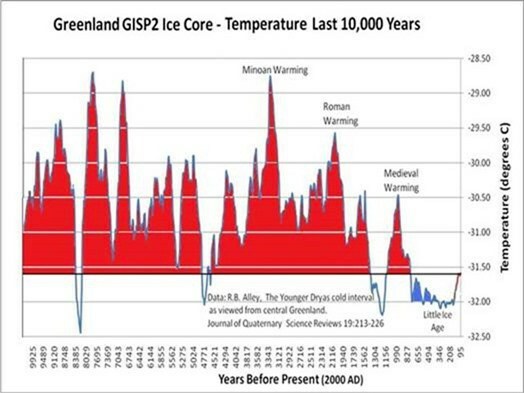 If we look at temperatures of the last 10K years, we are REALLY cold in comparison. But anyone that presents data from prior to say "1860" is some sort of a "denier". I grew up in a fundamentalist church. The mark of fundamentalism is WE WILL NOT DISCUSS THIS! The saddest element of the modern climate religion is that it is a fundamentalist religion, so ALL must either agree with it or be cut off from fellowship. In the fundamentalist church I grew up in "the end times were here" -- and so it is in the climate religion. Those that refuse to believe are downright dangerous! Humans have been drawn to "eschatology" FOREVER ... it has ALWAYS been "the end times". "Ye will be judged"! The difference is that now the secular world as opposed to the Church has decided "this is it", and "if you are not with us, you are against us" ... and it has gone so far we are going to prosecute you if you fail to agree with us "thus sayeth climate science"! The secularists destroyed religion so the Catholics and the Protestants could get along -- now we are in the business of criminalizing disagreement on the weather and calling that "progress".